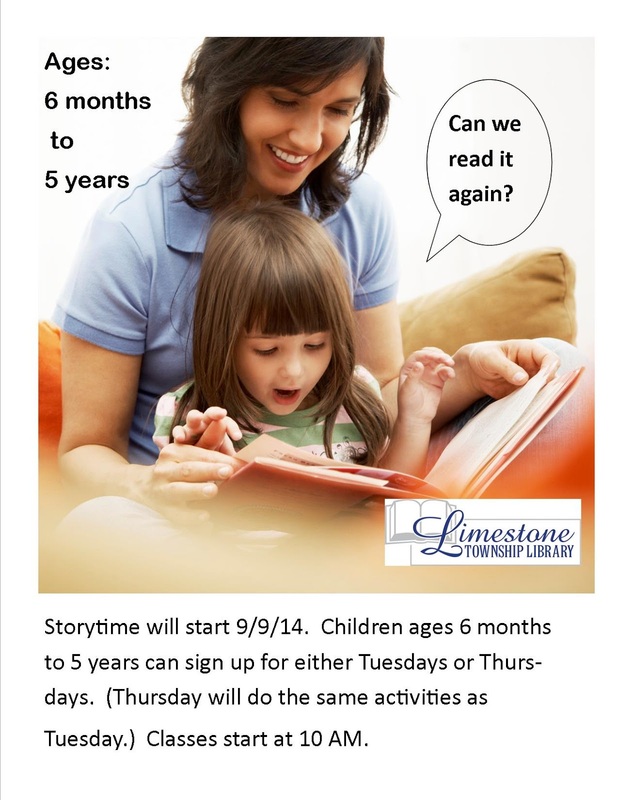 Children ages 6 months through five years will love Story Time. Sign up for either Tuesdays or Thursdays from 10-11 AM. The fun starts 9/9/14.